Green is poison and envy and nature and purity. It's trees and leaves and moss and algae. The flight of summer's exotic birds and a delicate butterfly and leafy palms and frog spawn. The bird's nest adds a hint of colour and outsize interest in the foreground, confusing perspectives, while the angles of the branches just line up between the different forest imagery, the gloss of the photograph adding surface contrast (far right). 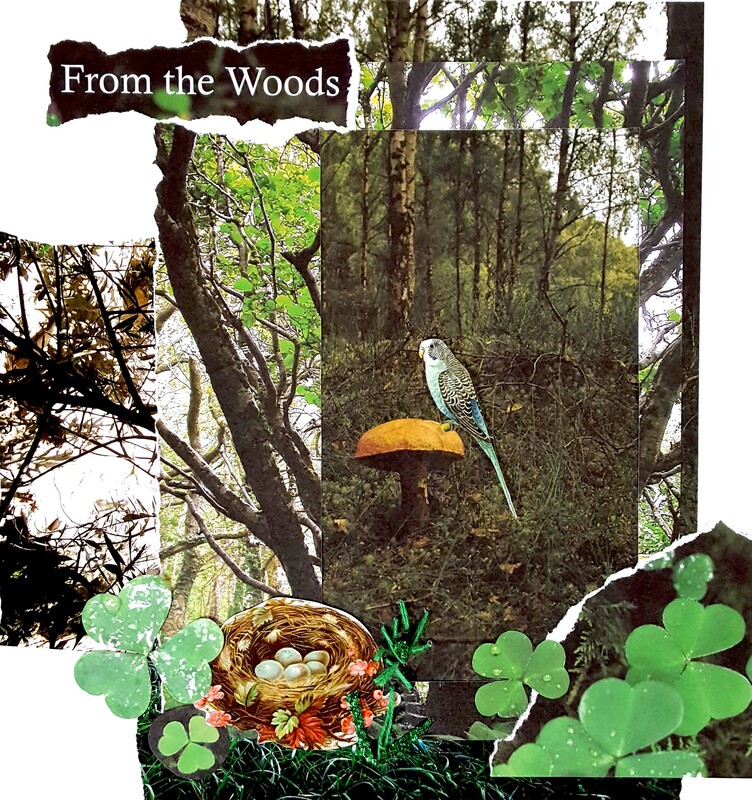 I love the juxtaposition of the brightly-coloured budgie perching on the toadstool in the gloom of the woods. Only in a collage! And I couldn't resist adding some detail in a combination of bright green-greenery mending wool and this snappy metallic yarn. It came out like a simple flower outline so I went with it. The shamrocks are an added, seasonal bonus considering the occasion. I didn't go searching for them but I found them just the same. I guess that's the luck of the Leprichaun - Happy St Patrick's Day! 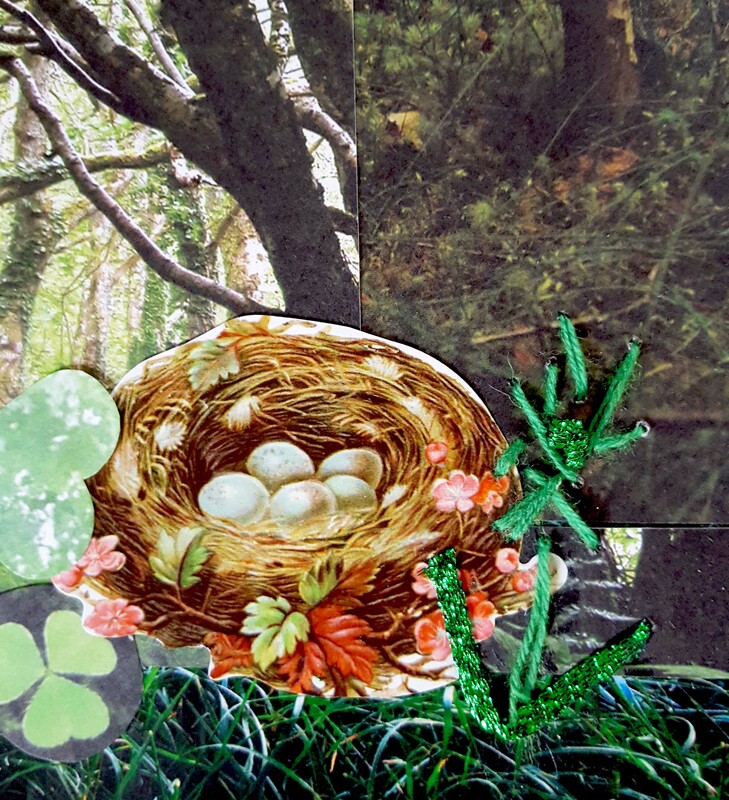 Check out some other GREEN-themed collages, here and here, plus some fun green vignettes. Find out more and join The Collage Club.